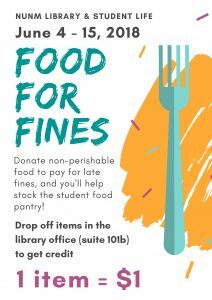 The NUNM Library is teaming up with the Student Life department to help you pay off your library late fines and help your fellow classmates! 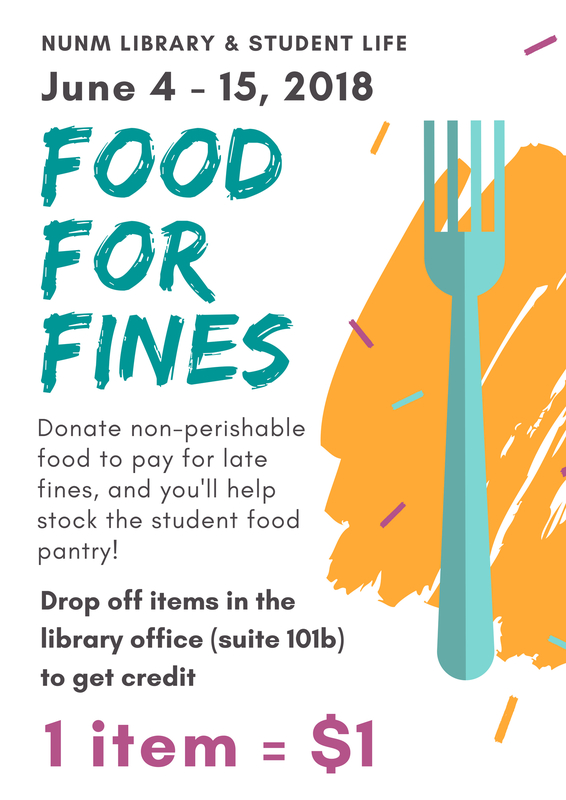 All you have to do is bring any non-perishable food items to the Library Office (suite 101b) from June 4th to June 15th, and you’ll receive credit towards your library fines total. 1 item will reduce your fines by $1. So simple! All food items will be donated to the student food pantry. Any items you can contribute are most welcomed. You will be helping those students and student families who can use a little boost food-wise.